Anyone planning an offshore passage should consider attending one of the Cruising Rally Association&apos;s Ocean Sailing Seminars. For 20 years, CRA instructors with specialties in communications, sail handling, heavy weather sailing, mechanical/electrical systems and offshore safety have brought two-day seminars to future offshore sailors. "The instructors were awesome and the pace was fast with plenty of useful interaction. The knowledge base was supersaturated and yet stimulating and exciting. 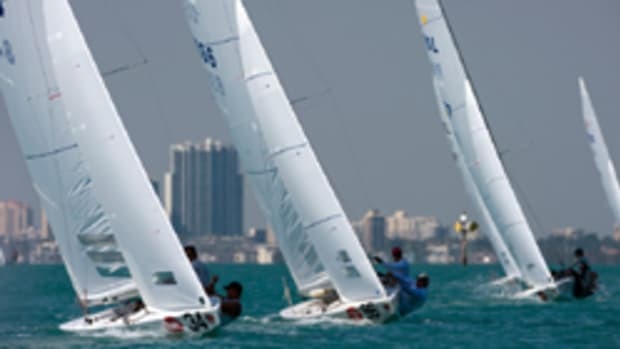 I came away ready to apply new ideas to the passion I have for sailing ... and with more confidence," said a recent Ocean Sailing Seminar student. The Ocean Sailing Seminar is open to all interested sailors and is perfect for those considering the transition from coastal cruising to bluewater passage making. It is highly recommended for future skippers and crew of The Caribbean 1500 Rally.